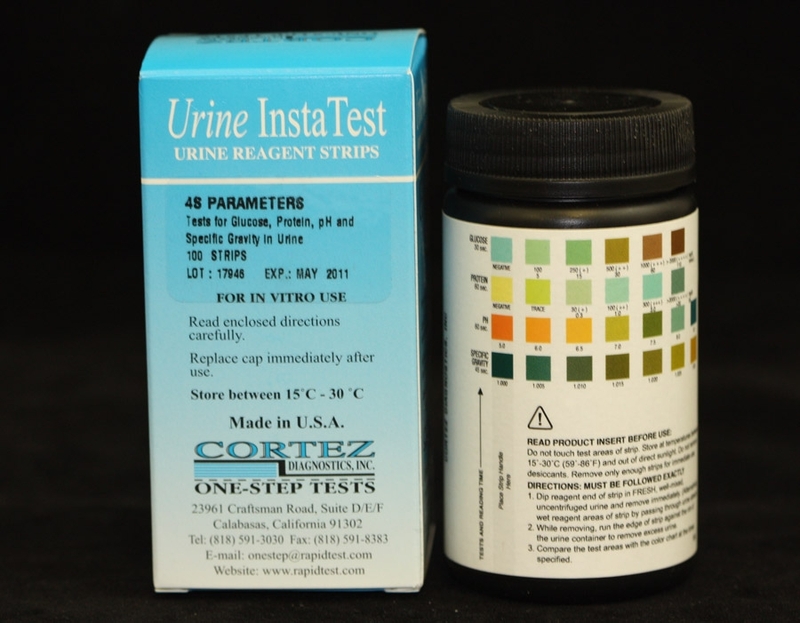 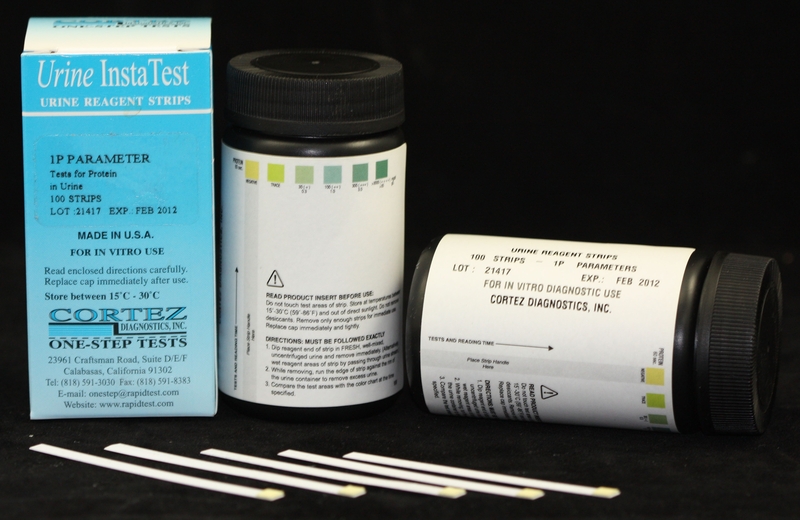 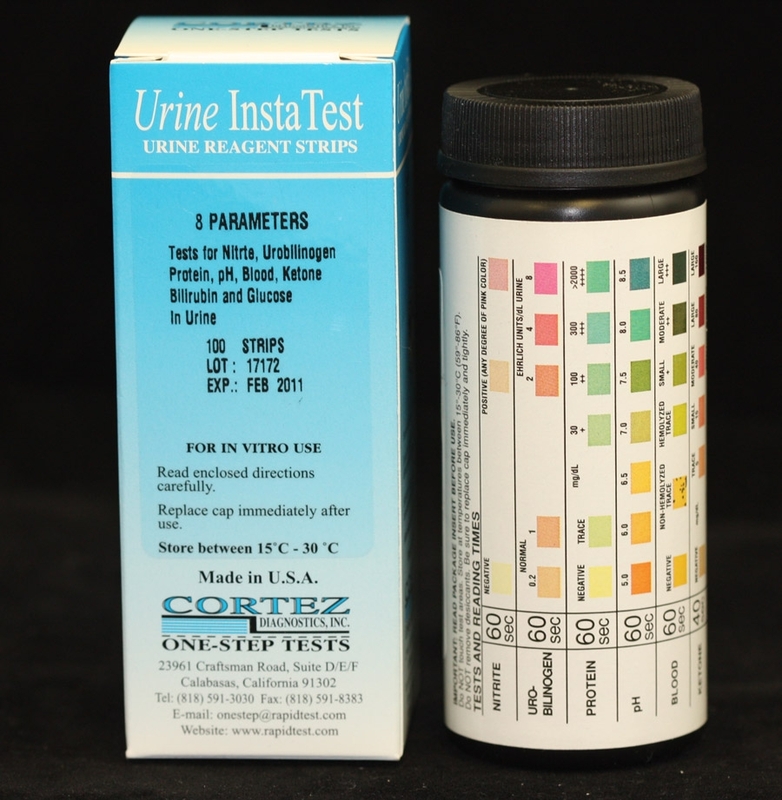 Los Angeles-based Diagnostic Automation/Cortez Diagnostics, Inc. offers a Urine Reagent Strip (Protein) Rapid Test for the semi-quantitative and qualitative detection of Protein in urine.Â The Urine Reagent Strip for Urinalysis is for in-vitro diagnostic use only. 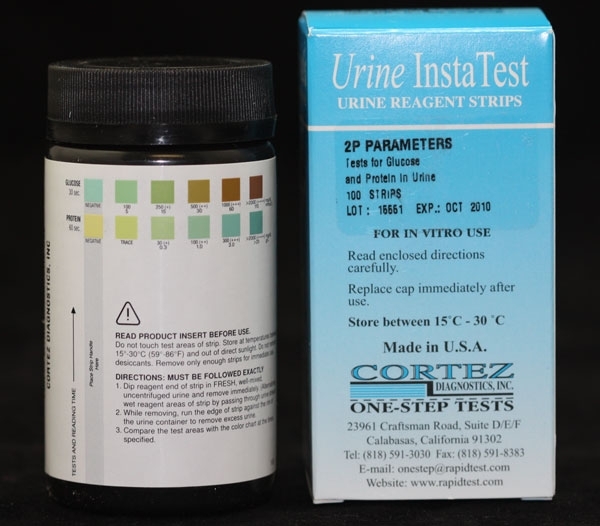 The Urine Reagent Strip (Protein) Rapid Test is based on the protein error-of-indicator principle.Â At a constant pH, the development of any green color is due to the presence of protein.Â Colors range from yellow for a Negative reaction, to yellow-green and green to blue-green for a Positive reaction. 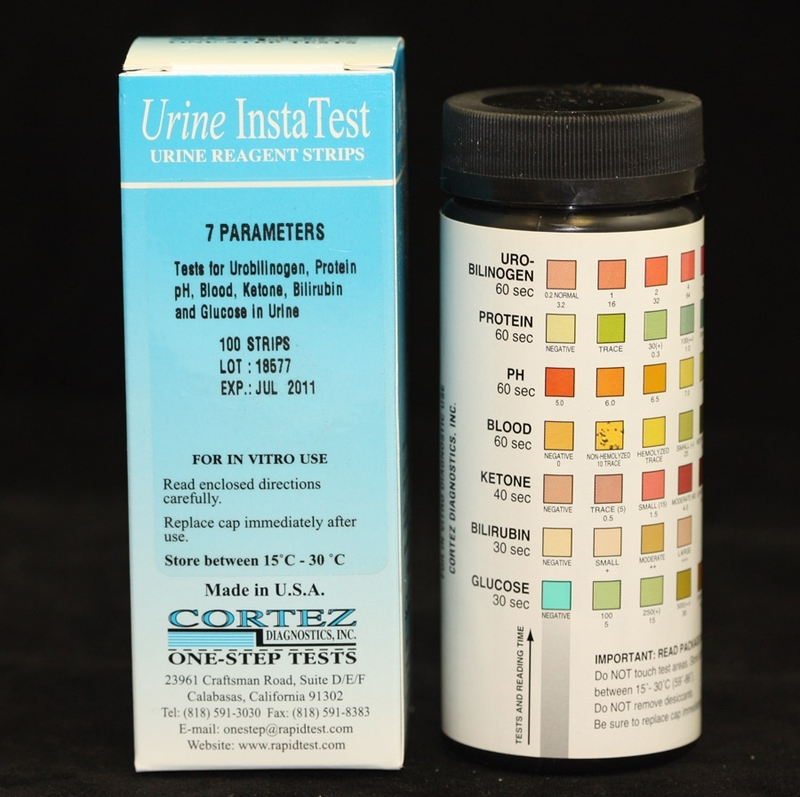 The test area of the Urine Reagent Strip (Protein) Rapid Test is more sensitive to albumin than to globulin, hemoglobin, Bence-Jones proteins, and mucoprotein; a negative result does not rule out the presence of these other proteins.Â The test area is sensitive to 15 mg/dl albumin.Â Depending on the inherent variability in clinical urine lesser concentration may be detected under certain conditions. 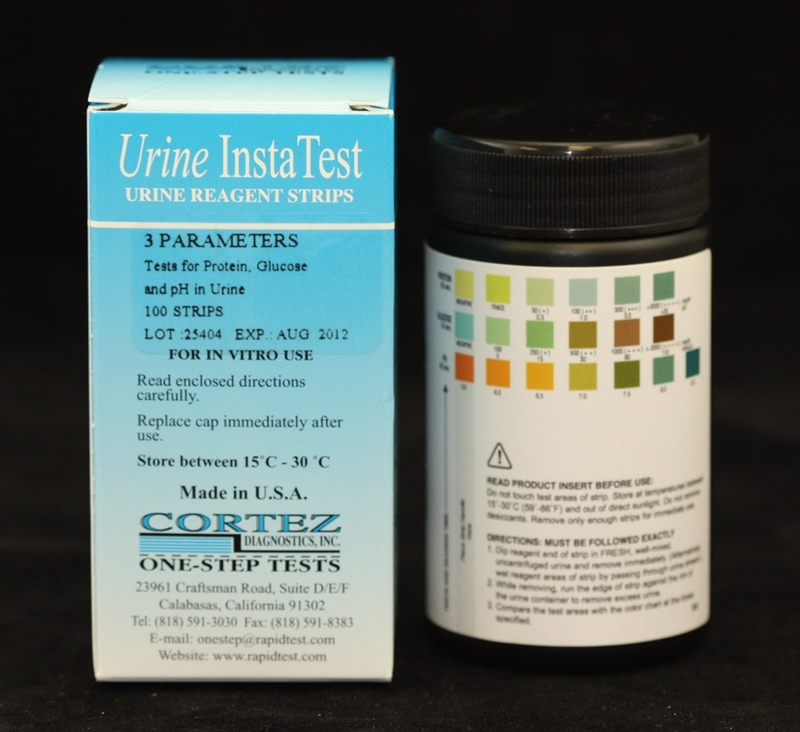 See Urine Reagent Strips for Urinalysis (Protein) Product Insert for more specific details on preparation, procedures, storage, quality control, and interpretation of test results.